If you’re lucky enough to have been allocated a new Ferrari 812 Superfast, you won’t be able to argue that you didn’t know what you were getting into when the long arm of the law eventually catches up. 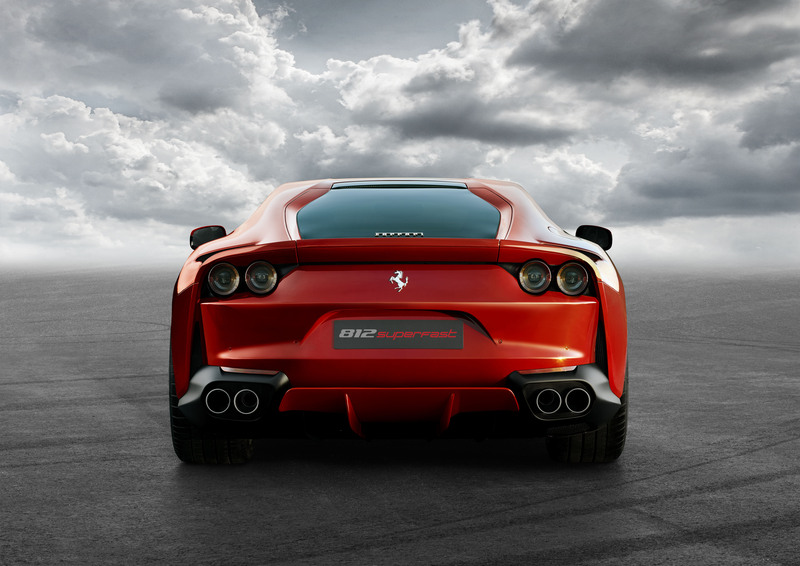 The replacement for the equally gorgeous F12 Berlinetta, the Ferrari 812 Superfast’s 6.5-litre V12 engine makes a mind-boggling 800hp. That’s the same as the internal combustion engine in the LaFerrari. Yep, we’re sure it’s going to be Superfast, indeed. In fact, the new powerplant – providing 123hp per litre and making use of variable geometry intake tract tech derived from its F1 programme – is the most potent naturally aspirated V12 that Maranello has ever made. The Prancing Horse’s new flagship front-engined sports car also develops 718Nm of torque at 7,000rpm, ushering the 1,525kg Ferrari from 0-62mph in just 2.9 seconds and pushing its svelte Italian frame to a top speed of 211mph. Now do you see why the revived name (the Superfast moniker was first used on the 410 GT car in 1956) is pretty appropriate? While we’re excited that Ferrari is continuing to produce a naturally aspirated sports car (while the rest of the industry adopts turbocharged technology) it’s interesting to note that the new 812 Superfast is the first car from the Italian manufacturer to sport electric power steering. 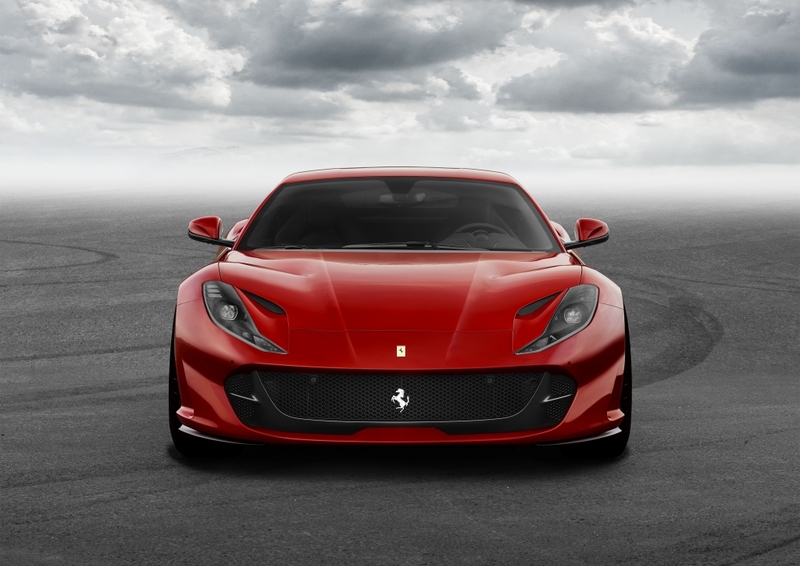 Understandably, Ferrari doesn’t expect this to dampen the 812’s dynamics. 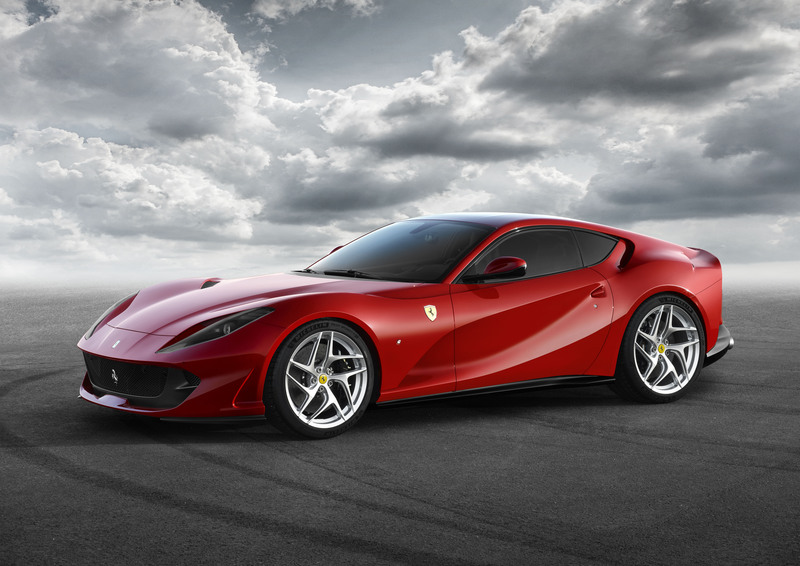 In fact, Maranello claims that the new system, integrated into version 5.0 of the firm’s patented Side Slip Control (SSC) system, “makes [the 812 Superfast’s] powerful performance easier to handle and even more thrilling to exploit”. For the moment we’ll just have to take their word for it. There is no denying, however, that the new Ferrari 812 Superfast is jaw-droppingly gorgeous, it’s high-backed stance and four circular rear lights rightly likened to the classic 365 GTB/4 ‘Daytona’. The latest V12 sports car is certainly no retro pastiche though, with its sharp creases, inflated wheel arches and vented bonnet giving the 812 Superfast an aggressive aesthetic that is backed up by its performance and nameplate. In the cockpit, the cabin’s styling has been pared back to provide a more purposeful look, Ferrari developing sportier and more ergonomic seats for the 812, while there is also a fresh steering wheel, instrument cluster and infotainment system. As the Superfast’s launch coincides with Ferrari’s 70th anniversary, there is also a new special colour for the 812: Rosso Settanta.